Two skipper’s newsletters have been sent to all regular skippers of Sea Essay this season. Calling all skippers and crew. We still have the following fantastic opportunities available for private charters during the summer cruise. The Sailing Programme for 2019 was last updated on 11 Jan 2019. It may be found on the usual page and is accessible as always from the main menu. Bids for charters, training, familiarization and Sea Time should be made through the relevant member of the organizing committee. The following photo appeared on Facebook on 3 Jan 2019. 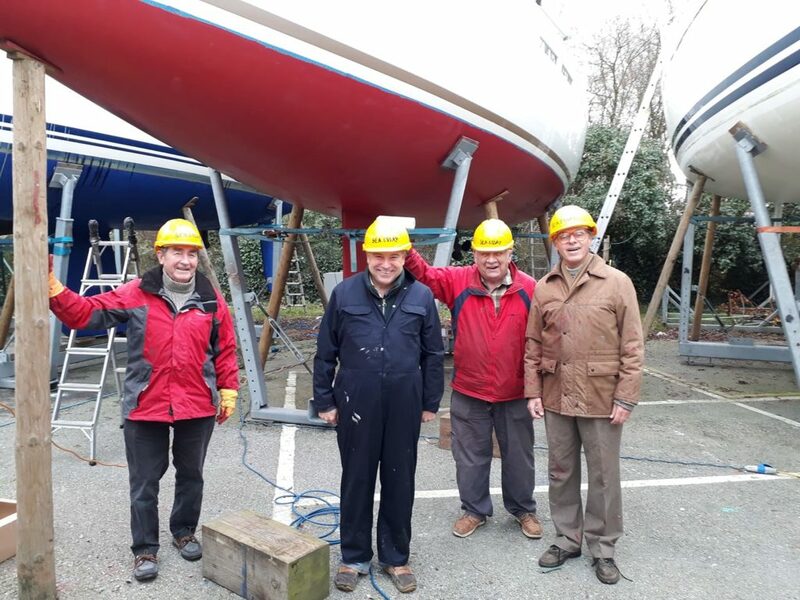 The CSD Yacht Husband Team with hard hats, a sense of humour and safety glasses, ready for anti-fouling. Sea Essay is now back in the water in readiness for the 2019 season. We will be holding Skipper Familiarisation sessions for Sea Essay on Saturday 16 and Sunday 17 February 2019. 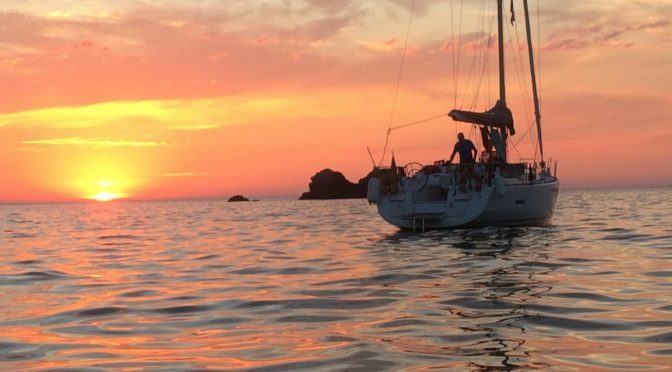 All newly Approved Skippers and those anticipating becoming Approved Skippers in 2019 must attend a familiarisation session before they are allowed to charter the boat. Approved Skippers who have not sailed on Sea Essay in 2018 are strongly advised to attend a session as a refresher. The sessions are held aboard Sea Essay at Mercury Yacht Harbour and take about 3 hours. If the weather permits we may go for a short sail in the afternoon. If you would like to attend please email Jeff Llewellyn (j.llewellyn57@ntlworld.com). Joining details and further instructions will be sent nearer the time. This is just a quick note to ask for photos that might be useful for this website of CSD publicity. Particularly, action shots of members enjoying the use of Sea Essay. Photos should sent to the webmaster. Sea Essay is fitted with a AIS transponder that transmits her location other suitably equipped vessels. This is a safety feature but as a side effect, it enables anyone who who knows how to see where she goes. If you are interested in following along then the following page (Click ‘Continue Reading‘) will explain how you can find out where she is and what you have been missing out on. Note that AIS reception is better in some areas than others because VHF signals rarely extend beyond ‘line of sight’. In particular, please take a look at the ‘ About’ menu which will pop-up below the word ‘ABOUT’ if you move your mouse or cursor in this area of the Menu bar. Note the tiny black triangle to the right of the word About. This indicates that this menu has a drop-down sub-menu to explore. The same applies to the ‘LINKS’ menu. Please look out for hyperlinks such as this one to the FAQs. Hopefully you will all appreciate the photographs which have been contributed by members. Please do contribute more if you have any. The easiest way to do this is to either email them to the webmaster or post them on Facebook – preferably in an album. Comments and suggestions for further improvement are always welcome.